†The work reported here is part of a dissertation submitted by Ralph R. Rudder in partial fulfillment of requirements for the Ph.D. degree of the University of Michigan (1967). Partial support for this work was in the form of U. S. Atomic Energy Commission fellowships. Present address: Air Force Weapons Laboratory, Kirtland AFB, New Mexico 87117. Measurements of Rayleigh scattering from atoms and molecules in the gaseous state at 1-atm pressure are described. 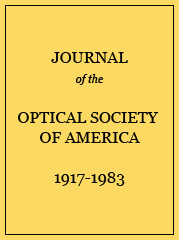 The use of a Q-switched ruby laser of 8-MW average power and care in minimizing spurious light permitted the determination of very small depolarizations. No depolarization could be detected in the scattering from argon and helium. However, finite depolarization ratios ρν (for vertically polarized incident light) were measured for xenon and methane: 1.55(±0.25) × 10−4 and 1.27 (±0.23) × 10−4, respectively. Departures from ideal-gas behavior provide the most plausible explanation for these findings. Depolarization ratios were also measured in hydrogen, deuterium, nitrogen, and nitrous oxide, and were found to be lower than generally accepted values. Measured differential-scattering cross sections at 60° for He, Ar, Xe, CH4, H2, D2, N2, and N2O were within experimental error of values calculated from known indices of refraction. The angular dependence of Rayleigh scattering in N2 as a function of the polarization states of both incident and scattered radiation was studied from 30° to 150°, and was found to be in agreement with theory. Theoretical and measured scattering anisotropies for spherically symmetric particles. Measured depolarization ratios of asymmetric scatterers. Measured and calculated Rayleigh-scattering cross sections.